Century Raingutters - Servicing San Diego County with over 20 years experience installing, repairing and cleaning rain gutters. 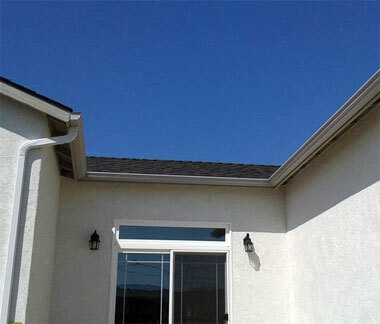 We offer the best seamless rain gutter products and installation in San Diego County. 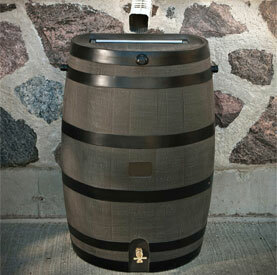 Both our seamless aluminum and copper will NEVER leak! One of the first and most important advantages of aluminum rain gutters is durability. Steel gutters are commonly used, but they will rust and the paint breaks down. Aluminum rain gutters are lighter and more durable and will never rust. Most gutters made from aluminum will last around 50-60 years. In addition to their durability, these gutters are less expensive and are easy on your wallet. One advantage of aluminum rain gutters is the cost. They are one of the least expensive types available. Some steel gutters can cost up to $20 per foot. Aluminum rain gutters usually average between $4 and $6 per foot, making it one of the least expensive options. Another advantages of aluminum rain gutters is color. 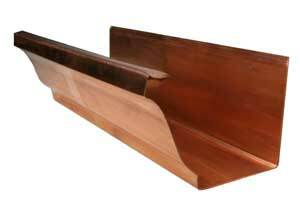 Most other types of gutters are only available in very few colors. Also, other types of gutters like steel can also be difficult to paint. Aluminum rain gutters are manufactured in over 30 different colors and if you can't find the color you want, they are easily painted. Probably the best advantage of seamless rain gutters is that they don't leak. We manufacture them right on the spot. 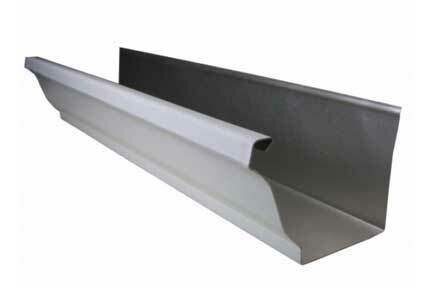 Seamless gutters are cut from one long roll of aluminum instead of attaching smaller pieces together. Since these aluminum rain gutters have no joints, there chances of a leak occurring is virtually eliminated. All custom built on your job site! 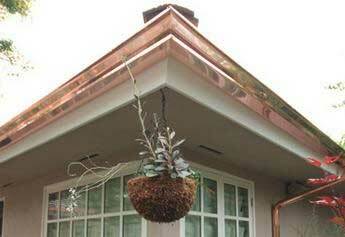 The best rain gutter system you can have on your home is copper. 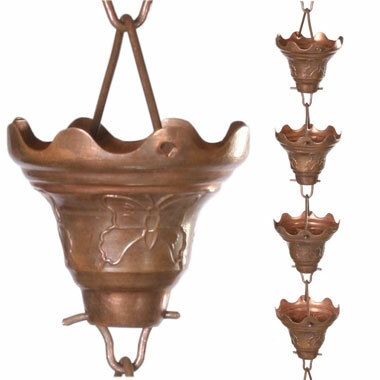 Copper is a living material, and has the ability to change throughout the years. They're like fine wine, they age beautifully, turning many different colors. Copper rain gutters are not only beautiful to look at, but they literally last a lifetime. They are nearly 100% maintenance free and will last up to 100 years. Copper adds a unique architectural element to the home that is not always considered by the homeowner. You can even add decorative brackets, leader heads and rain chains to your Copper Rain Gutters to enhance their appeal even more. Copper rain gutters can provide a truly stunning appearance on your home and immediately exude class. Being the best in class, copper rain gutters typically are more expensive than aluminum or steel. 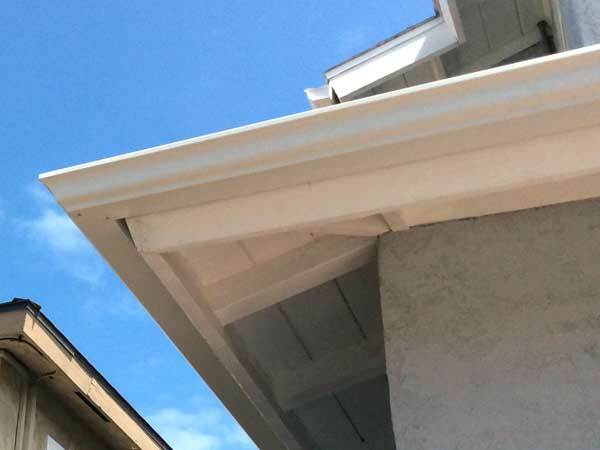 Although the initial cost may seem rather expensive, their durability means you will not have to ever replace your gutters like you do traditional gutters. And there is of coarse the beauty aspect and the value they will add to your home. Get a fast, friendly & free no obligation price quote on seamless rain gutter cost, replacement or repair. 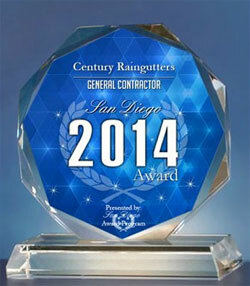 Recipient of the 2014 San Diego Award in the General Contractor category! Awarded for excellence in customer service. Owner Randall Blackwell was interviewed on gutter installation and repair. 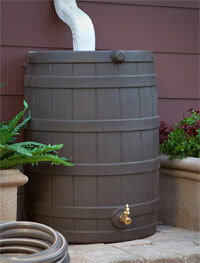 San Diegians who are served by an individual water meter can receive a cash-back rebate when purchasing and installing a rain barrel. © 2015 Century Rain Gutters. All rights reserved.